The place we’re currently renting has only three trees – two small pines of some sort, and a grevillea – from my bit of research, I think the grevillea is a ‘strawberry blond’. During the two years that we’ve lived here, it’s gone from a small young shrub to quite a big tree – taking a most of the (admittedly small) front court yard. We’ve enjoyed watching it grow and it has attracted its share of honey-eaters and bees which the kids have loved watching. We’re in the middle of culling, sorting and packing in anticipation of moving to our little bit of acreage (finally!) 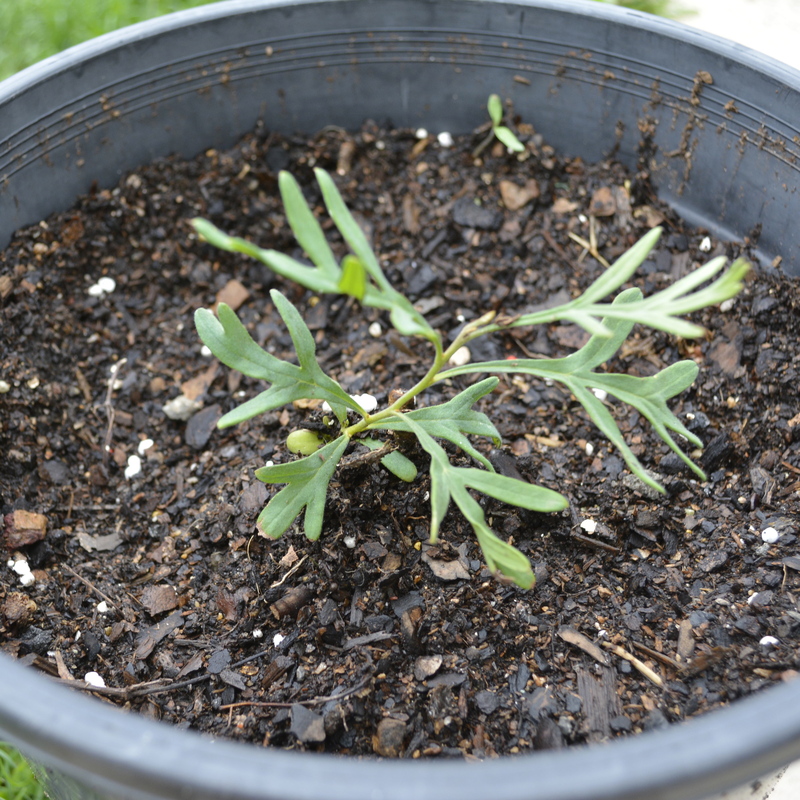 in the new year, so imagine my delight when I discovered that the grevillea had kindly self seeded in an old pot I had under the tree. Apart from a grove of gumtrees at the front and back of the property, our new place is severely lacking in natives (but unfortunately not lacking in palm trees) so I’m hoping this grevillea will do as well at our new place as its ‘mother’ has in its inner-city environment. 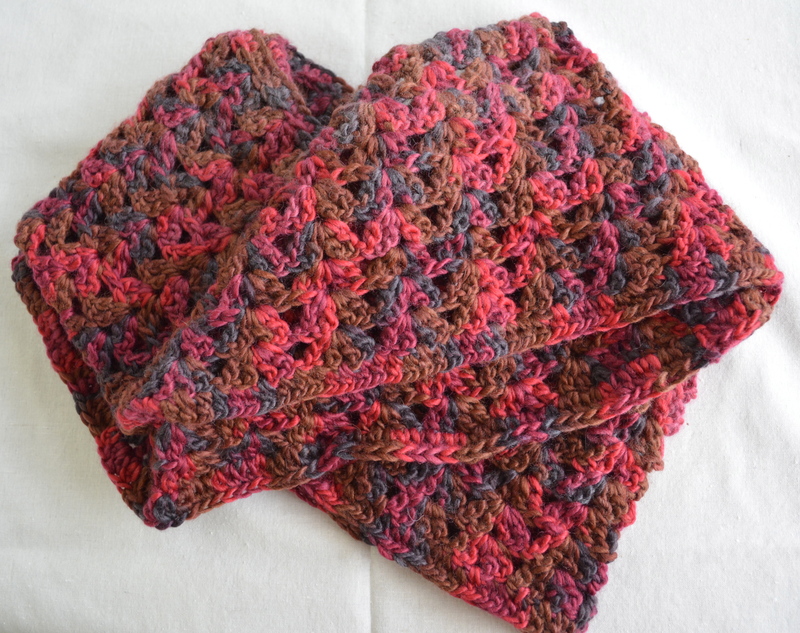 Heidi at Kindness Seeds had generously made her infinity scarf pattern available for free and it was just what I was after – an easy pattern that worked up quickly. I’m really happy with the result and I know my friend will be too. 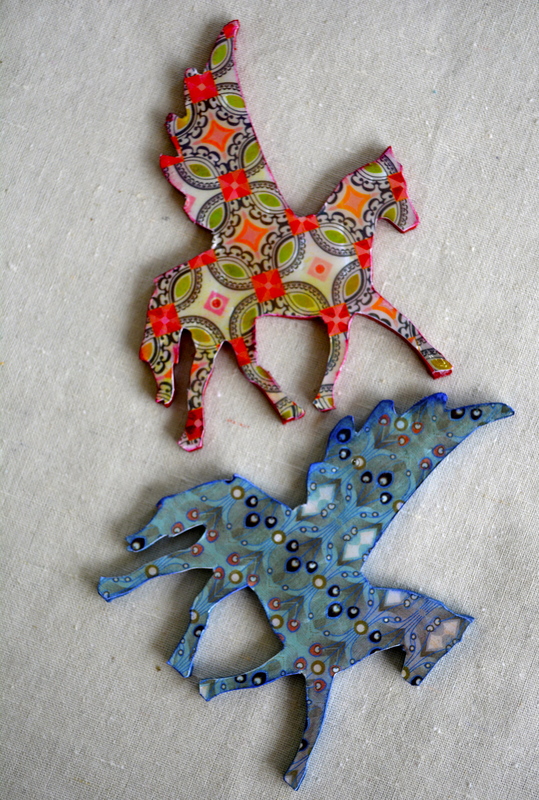 And then there’s these little pegasus brooches. I’m making a bunch of these for the Kindy teachers (and a few might make it into my Made It shop too). They’re looking cute and who doesn’t love a flying horse? I’d love to hear what others are making for Christmas this year. Recently, I’ve been reading lots about the benefits and importance of seed saving. It’s funny isn’t it, how once you start focusing on something, it seems to pop up everywhere. There was a Gardening Australia episode on the Millennium Seed Bank at Mount Annan in NSW, various seed illustration courses, and of course typing ‘Seed Saving’ into Pinterest brings up thousands of links. At the moment we only have a few plants in pots (all this will change soonish when we move onto our humble piece of acreage) but I thought I’d make a start and see what seeds I could save. I didn’t have any vegetable seeds to save but I was able to collect several different types of flower seeds: snap dragon, sweet violet, nasturtium and marigold seeds. 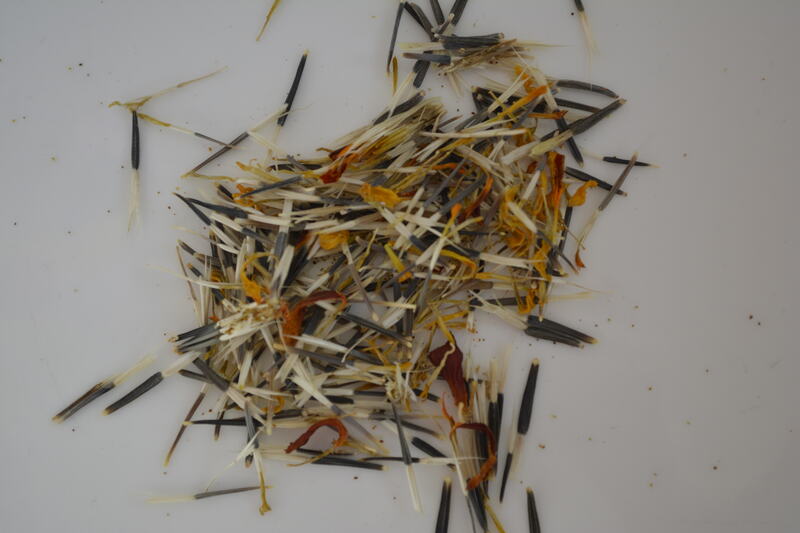 Marigold seeds were the most prolific and from one punnett of marigold plants, I’ve collected thousands of the seeds. 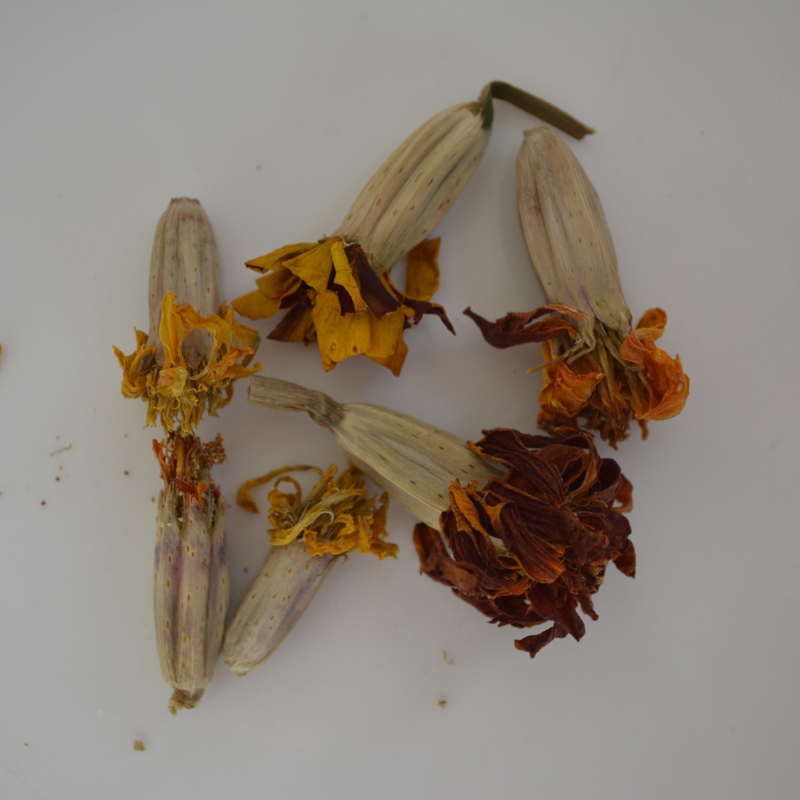 The kids had the most fun collecting the marigold seeds as they were easy for little fingers to manipulate. The trick is to wait until the flowers completely dry out – you’ll know they’re dry when the top of the stem starts turning brown, then it’s just a case of opening the seed pod and out will fall the seeds. I’m sure my tomato plants will thank me next year when they’re surround by an abundance of marigold flowers.